Elsewhere, Alison Miller grabbed five tries as Old Belvedere ran riot. THE SEVENTH ROUND of fixtures in the Women’s All-Ireland League threw up some intriguing results. Tullamore secured their first victory of the season, UL Bohemians and Railway continued their unbeaten runs, while Old Belvedere went try crazy at Anglesea Road. UL Bohemians maintained their presence at the top of the table with a hard-earned 39-24 win over a much-improved Blackrock at Stradbrook this afternoon. The reigning champions ran in seven tries but Blackrock never threw in the towel and deservedly secured a bonus point try in the last play of the game. ‘Rock showed great vigour, patience and perseverance throughout and worked hard to implement their game-plan, but the Red Robins were deserving winners. Bohemians showed the depth in their squad after a busy week, which included the historic Barbarians v Munster match, with players stepping up in impressive fashion. The handling and movement was eye-catching with the footwork of captain Fiona Hayes particularly noticeable. Laura Sheehan scored three tries for the winners, Niamh Kavanagh contributed two while Aine Staunton and Rachel Allen grabbed one apiece. ‘Rock’s opening try came from a well-executed lineout with a soaring Alix Doyle gathering. This set in train a move which ended with impressive out-half Michelle Claffey jinking in under the posts with Hannah O’Connor converting. Their second try came from a classy against-the grain move with newly-converted back rower O’Connor racing in from 35 metres out. Ireland Sevens flyer Kathy Baker then got on the scoresheet, demonstrating her strength and composure with her third try in as many games for ‘Rock, and they went in search of the bonus point. As the referee declared ‘last play’, the Dubliners were camped in UL’s 22. The home side applied a wave of pressure and were given their just reward when Lena Fitzsimons crashed over the whitewash to secure a bonus point. Significant improvements were evident in Blackrock’s play, which made Joe Halpin, their forwards coach, incredibly happy as the squad begin to show their true potential. Railway Union’s powerful run continued at Park Avenue today when they stormed past a Cooke side who were much more competitive than the final scoreline of 33-5 suggests. The Belfast women were always willing and able but Railway are a top class outfit with scoring threats all over the pitch. Cooke’s set-piece play was more than a match for Railway and the Ulster side were very happy with their efforts in this department. However, their hosts were much more clinical with ball in hand, running in five tries over the course of an entertaining match. Railway’s captain Meg Kendal twice crossed the whitewash while Aimee Clarke, Susan Vaughan and Katie O’Dwyer shared out the other tries and Nikki Caughey landed four conversions. Cooke’s single try was scored by their inspirational skipper Beth Cregan. The winners had impressive displays all over the pitch but special mentions go to Ailsa Hughes, Grainne Egan and Vaughan as Railway look forward to next weekend’s road trip to Belfast and a rematch with Cooke. A memorable performance from Tullamore secured their first All-Ireland League win when they came from behind to beat Galwegians 31-27 in the west. The Offaly women have been toiling bravely all season and improving game by game, so the joy unleashed at the final whistle today was very understandable. The game was played in very windy conditions and Tullamore made the most of it to lead into the second half but Galwegians blasted back and took the lead as full-time approached. That was the signal for Tullamore to make their own niche in history and they showed great composure and skill to find the scores necessary to secure the well-earned victory. The winners ran in five tries courtesy of Clodagh Hanniffy (2), Sharon Touhey (2) and Emer Phelan, who all contributed hugely throughout the day. Plaudits must also be given to the Tullamore lineout play which laid the foundation for the result. Jill Draper and Pauline Keating were very prominent too and controlled matters at crucial junctures. 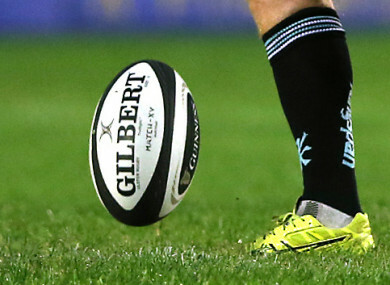 Rampant Old Belvedere ran in a stream of tries at Anglesea Road as they breezed past Highfield – 68-3 – in the first of their back-to-back meetings. Ireland star Alison Miller ended up with a five-try tally. The Dublin 4 outfit were dominant throughout and played with much more power and intensity from first whistle to last. They had five tries on the board by the interval. Miller had crossed the whitewash three times, with Jenny Finlay and Clodagh Dunne also getting in on the act. Dunne’s score was particularly impressive with superb skills on show as she created the space and finished with aplomb. Miller added two more scores after the resumption with Ireland Sevens international Megan Williams, Jane O’Neill and Finlay completing the try-fest. ‘Belvo’s head coach Josh Brown was delighted with his charges and especially happy to give game-time to his entire squad. “It was great to run the bench and we had excellent displays all over the field. Jenny Finlay was outstanding around the park. She was dynamic and supported the back-line extremely well while also making breaks on the wing. She made the most yards of any ‘Belvo player this year,” he revealed. It was a poor display from the Cork side as they were outworked and out-thought all day. Highfield know that they can be much better and after the match, promised one another to work hard all week and give ‘Belvo a much tougher challenge in next week’s rematch. Email “It's been a difficult road for Tullamore but there were jubilant scenes as they secured first AIL win ”. Feedback on “It's been a difficult road for Tullamore but there were jubilant scenes as they secured first AIL win ”.